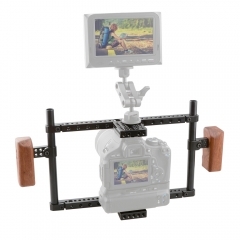 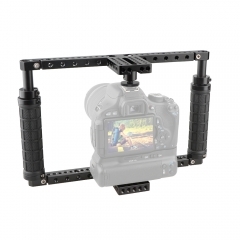 • This robust cage rig not only protects your camera but so provides a mounting platform for more DIY setup possibilities. 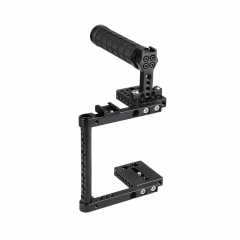 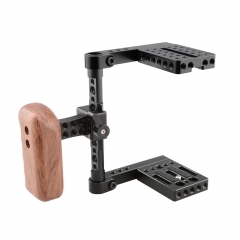 • It features a configuration of two shoe mounts, two rod clamps and two optional side rail bars, maximum to meet your needs to get more accessories installed, such as micro phone, light, monitor, EVF, follow focus and so on. 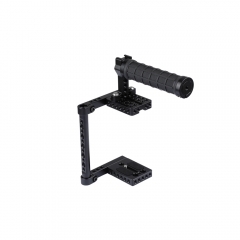 • It comes with optional 145mm and 125mm side rail bars for use according to your camera size. 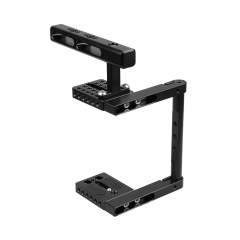 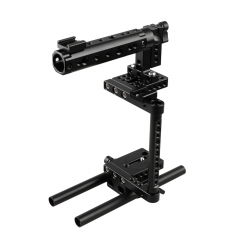 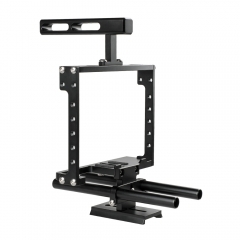 • This professional camera cage rig is made of hard anodized aluminum for solidity and durability.